CharsetConverter - Convert between charsets. 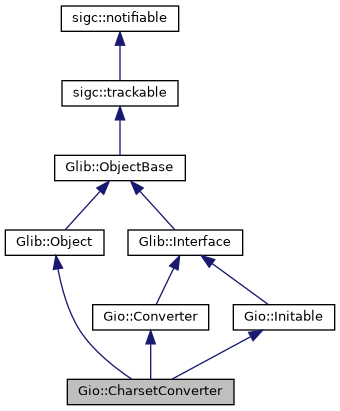 CharsetConverter is an implementation of Converter based on GIConv. A new CharsetConverter, or nullptr on error. Gets the number of fallbacks that converter has applied so far. The number of fallbacks that converter has applied. true if fallbacks are used by converter. The character encoding to convert from. The character encoding to convert to. Use fallback (of form \<hexval>) for invalid bytes. use_fallback true to use fallbacks.